We have a great wall of things growing to go to Vinnies, and what seems to be an even greater mound out the back that will require a skip of some sort to remove it all. Yesterday I sorted and filed a stack of papers that was a foot high! Anyway; all of this leads to very boring photography. So here’s where I’m up to with knitting. 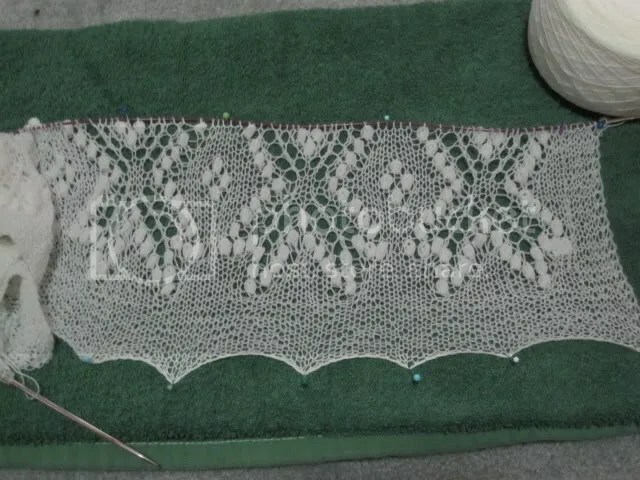 I’m making the Crown Prince Shawl from Knitted Lace of Estonia. There are 7 of those crosses around the boarder. 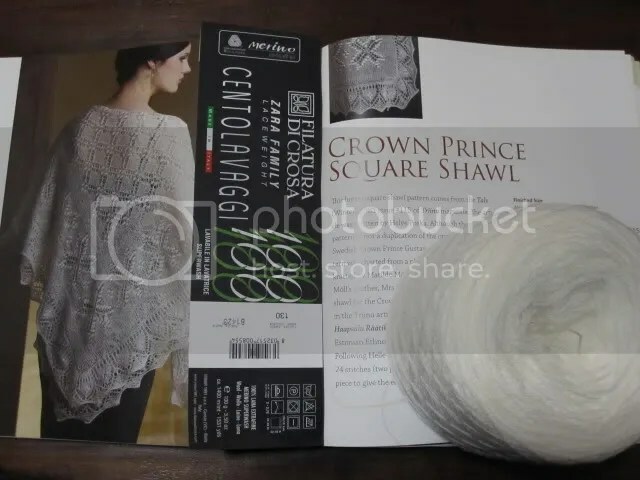 I’m using Filatura di Crosa Centlovaggi which is a cobweb weight yarn, on 3.5mm KnitPicks circulars. Why I decided more nupps were in my future I’m not exactly sure. But it should be a stunning piece when completed! I may think about entering it in the Royal Easter Show for 2012 if the world doesn’t end! on a personal level, i would lift my embargo on the royal easter show, just so that i could see your wonderful wooly creations. i am sure the children would love to see your items on display as well! !